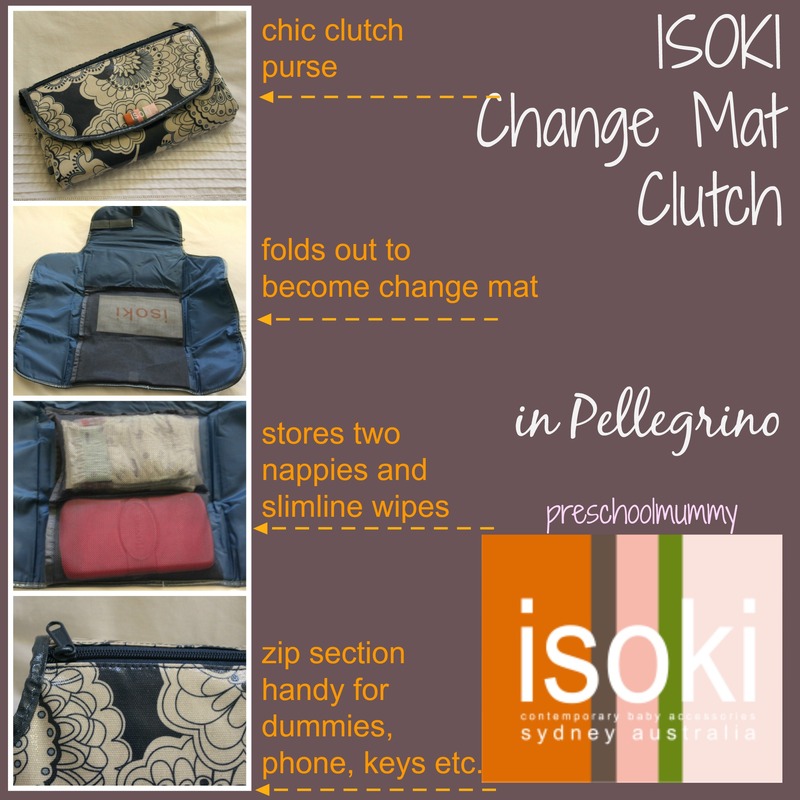 ISOKI change mat clutch product review. 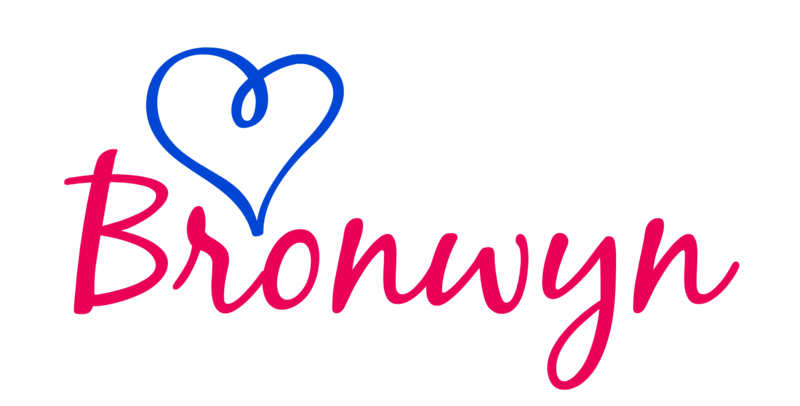 Earlier this year I wrote a piece on practical gifts for new parents. I included a special gift I was given and have enjoyed and used every day since having Rosie last September. It’s the ISOKI Australia Change Mat Clutch. After I published that post, the lovelies at ISOKI sent me a gorgeous new change mat clutch to review. It’s the Pellegrino style, which has a cream and indigo fabric pattern – perfect for me as I live in my dark denim jeans and neutral tops. And what girl doesn’t love coordinating her baby gear with her threads? With my (ahem… Rosie’s) new accessory. …a chic, compact nappy wallet which resembles a stylish clutch purse. It carries a slimline box of wipes and two or three nappies, and has a loop to attach a dummy. I slide this under my pram and carry my handbag like a normal person. Appearing like a normal person is paramount when you’re a mother, because you rarely feel like one. But there are a few extra fantastic benefits I’ve noticed since then! Aside from being aesthetically stylish, the clutch is quintessentially practical. For the germaphobes out there (like me!) it’s so important to BYO change mat when out and about. This purse unfolds to provide a hygienic place to freshen your baby up. And being in-built, that means one less thing to carry. Mums will appreciate wanting to pack less! Not usually one to “travel light”, the change mat clutch has simplified things around here! It wipes clean with a damp cloth. It’s made with laminated, printed calico and is very hard-wearing. So, unlike my nappy bag, which has now gone to greener pastures, this will see Rosie out of infancy and toddlerhood. Who knows, I might just keep using it after that!? I’m getting pretty attached. See? Just like a normal person. It fits right into your handbag. So you can go shopping and not have to carry around a huge luggage-like nappy bag. It also slides nicely into the basket underneath my pram, in the back pocket, or even straps onto my pram using the velcro strap. Incredible versatile. It also features a nifty little zip section on the side, which is great for stashing nappies, a slim phone, or a bit of cash. This chic clutch purse, ahem, nappy carrier, is perfect for those times you’re ducking in to Woollies for groceries, heading out for a quick coffee, off to the park up the street – basically any time you don’t want to pack, organise and carry a full nappy bag – which for me is always. The RRP on this little beauty is $24.95 which makes it really affordable for a treat or for a gift. See ISOKI’s website for the full selection of colours, there’s one to suit every style. 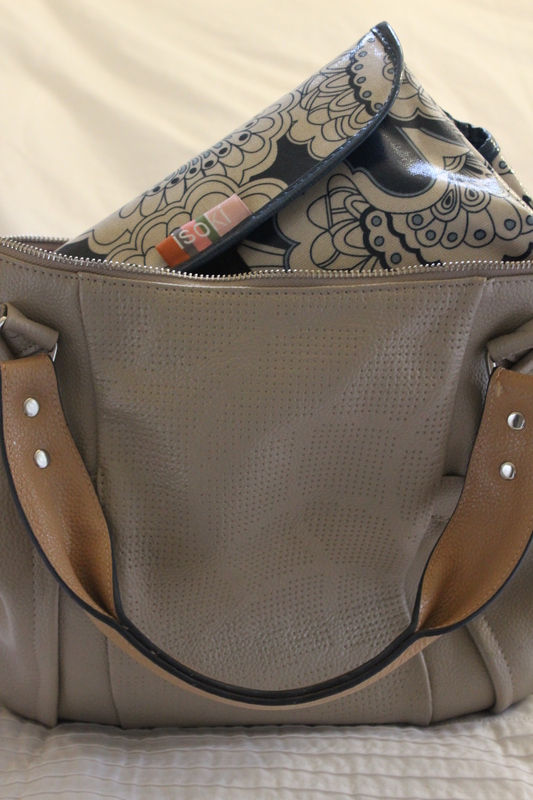 Thanks for reading my review of ISOKI’s change mat clutch! 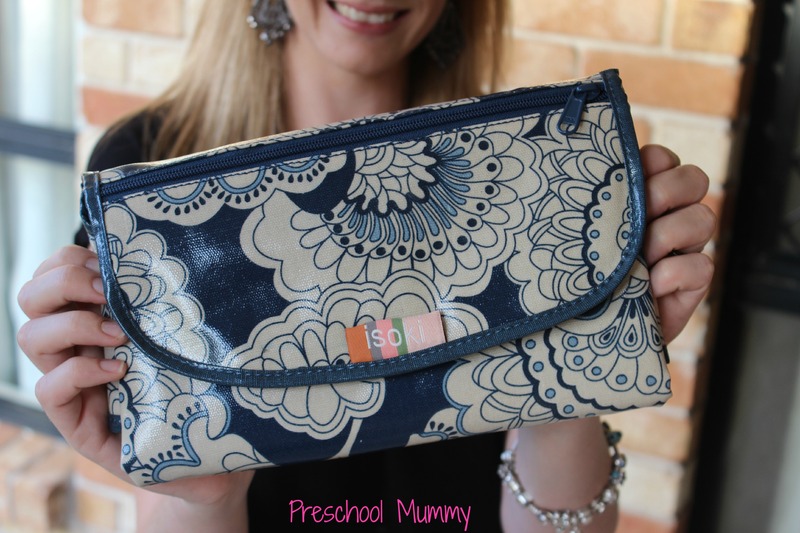 ISOKI is offering all Preschool Mummy readers the opportunity to purchase a beautiful nappy clutch at 20% off! 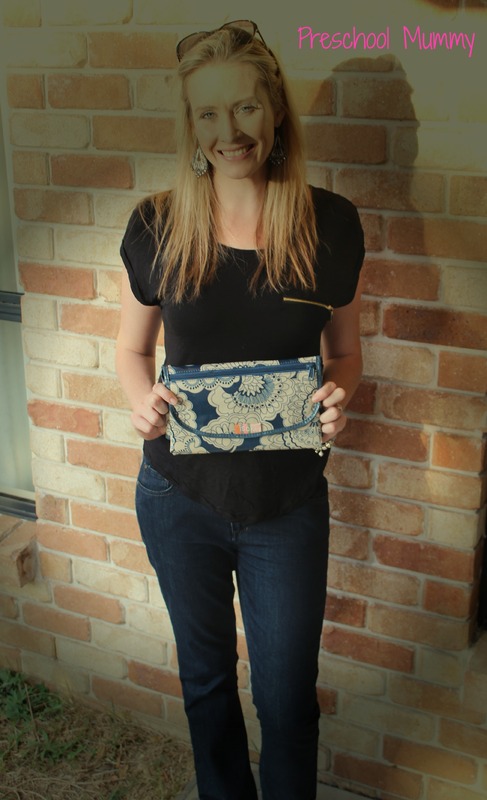 Just head over to http://www.ISOKI.com.au and enter the discount code: PSMCLUTCH14 at the checkout! change mat chic clutch cream functional isoki navy pellegrine stylish. I love useful thinks like this!! Baby products suddenly became so much funkier the second I didn’t need them any more! Everything of ours was boring old navy blue.